Being a karaoke DJ, or KJ, may seem simple. After all, all you really have to do is play the songs and call each singer in turn. In reality, being a successful KJ requires far more than that. This is why choosing the right karaoke software is so important–it helps you do your job well, and stick out from all the rest. No one will want to come to your venue and sing if you don’t have great songs. Having a wide variety of songs is essential. If your software allows you to legally obtain new songs right then and there, that’s even better. No one wants to wait while you mess with your karaoke system and try to get it to work. The right system should be user friendly so you can spend more time “hosting” and entertaining your audience. Nothing is more frustrating than being in the middle of a passionate performance and having the song start messing up. While your singers might forgive you the first time, if it happens multiple times, they possibly won’t be back. 4. The Right Karaoke Software Has All the Features You’ll Need Now AND In The FUTURE! While you may not “feel” you need the most advanced karaoke software available today, it’s always better to have and not use, than to not have at all. After all, it’s often the little extras that will set your show apart, and although possibly not important to you now, you’ll wish you had the added features and functionality when your patrons start leaving for a show that does. When choosing the right karaoke software, price is obviously important, but don’t “buy” yourself short. 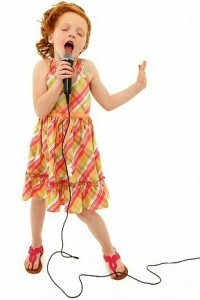 The karaoke hosting software you choose will likely play a significant part in the overall success of your karaoke show. In fact, the added value an advanced karaoke hosting program can bring to your show may very well bring a significantly higher payday. Far too many beginner hosts ultimately find they “wasted” more than they “saved” after realizing they got, or more importantly didn’t get, what they paid for with the cheaper software and need to invest more to upgrade in short order. So don’t break the bank, and definitely stay within your budget, but don’t immediately jump for the cheapest, you’ll be sorry later. Let’s face it, we all need a little help sometimes. So be sure to select a karaoke hosting program from a reliable provider, one that will always be there for you and willing to provide a little help when you need it. That’s right! CompuHost V2 Karaoke Hosting Solution has earned the reputation of being the absolute most full-featured, yet easy to use karaoke hosting software on the market today. Trusted by tens of thousands of karaoke professionals and powering the worlds largest karaoke venues, casinos and cruise lines. And to top it off, you get the support of Karaokeware Inc., an industry leading provider of innovative karaoke software for over 14 years.